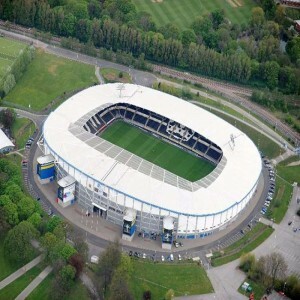 Initially, the stadium didn't have floodlights. 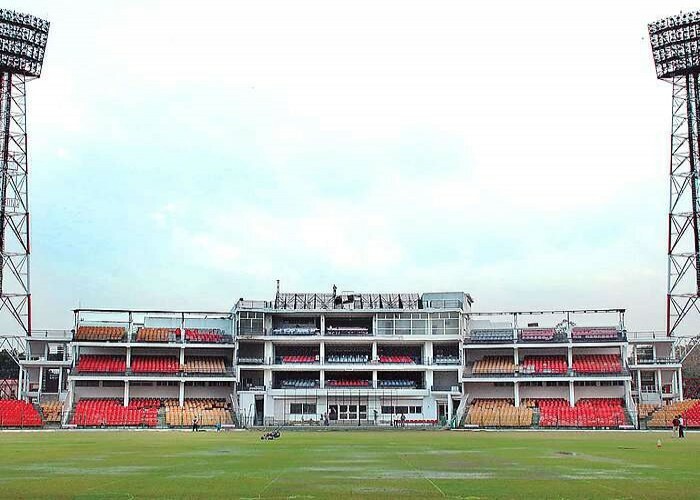 But during the preparation for the 1996 Cricket World Cup, floodlights were installed to the stadium so that it can host both day and night matches. 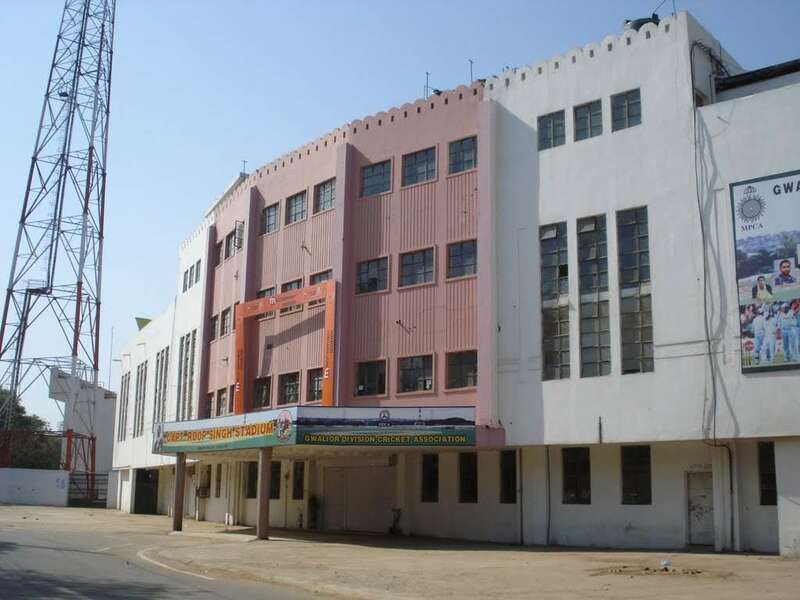 Captain Roop Singh Stadium is a cricket stadium (built in 1978), located in Gwalior, Madhya Pradesh. It is owned by the Madhya Pradesh Cricket Association and operated by the Gwalior Division Cricket Association. 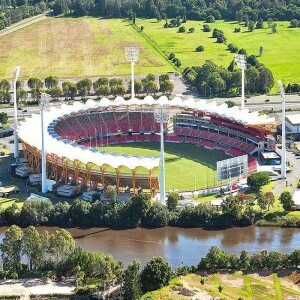 The stadium has floodlights and thus hosted both day-night events. 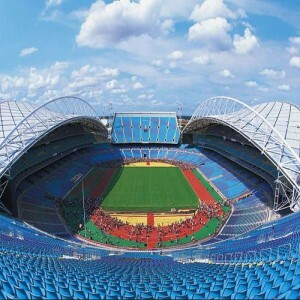 It has hosted a total of 10 ODI matches. 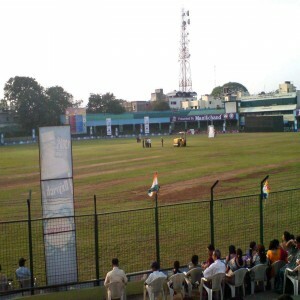 It was primarily built as a hockey stadium and named after the great Indian hockey player Roop Singh. The stadium hosted a match of the 1996 Cricket World Cup, played between India and West Indies. The inauguration match at the stadium was held in 1988 between India and West Indies. Indian cricketer Narendra Hirwani made his one-day debut in this match. West Indies defeated India by 73 runs. In May 1997, Aaqib Javed of Pakistan took a five-wicket haul against Sri Lanka in an ODI match which was a significant contribution in Pakistan's win. In May 1998, the stadium hosted a match of the Coca-Cola Triangular Series between Kenya and India. In that game, Kenya beat India by 69 runs and proudly sailed into the final. 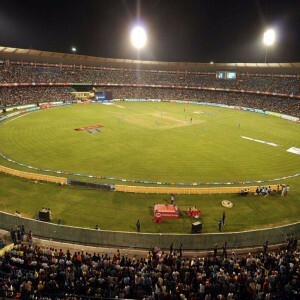 In February 2010, the stadium hosted a match between India and South Africa. In this game, India scored 401/3, and Sachin Tendulkar became the first cricketer to score a double century in ODI, ending the game on 200 not out. 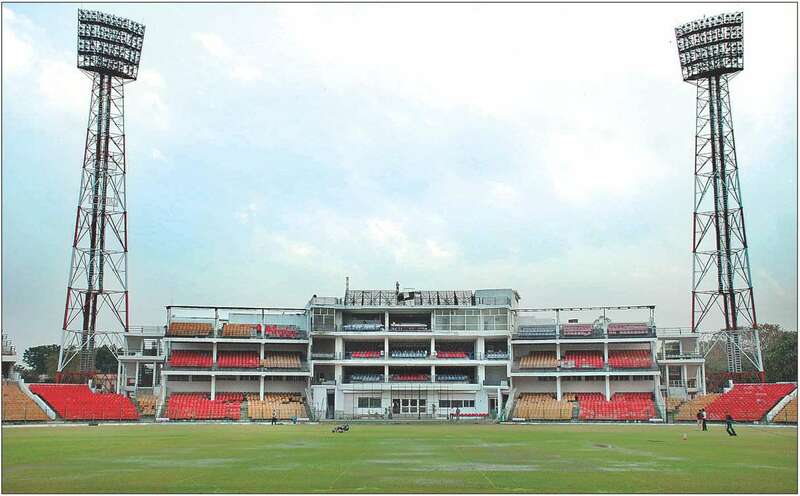 The stadium hosted the day-night final of the 1996 Ranji Trophy, played between Mumbai and Delhi. Mumbai won the match by first innings lead.